On September 20, 2018, the International Labour Organization (ILO) released Digital Labour Platforms and the Future of Work: Towards Decent Work in the Online World, a report surveying the experiences and working conditions of 3,500 crowd workers from around the world working on five “microtask” crowd work platforms. The research found that across the five platforms studied, the average hourly wage was USD 4.43 per hour in 2018 — below minimum wage for workers in the US and parts of Europe. 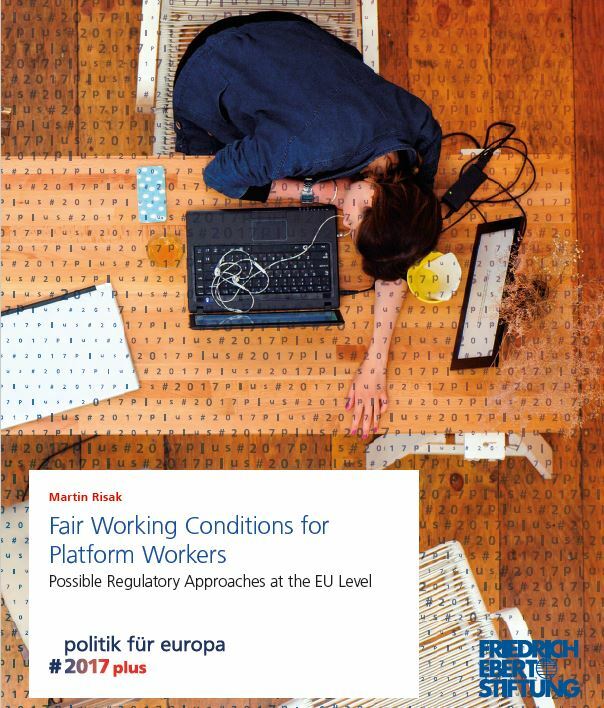 Because microtask platforms to some extent constitute a global labor market in which workers with a wide range of living costs compete with each other for work — often on price — in real time, and workers are legally classified as self employed, workers have limited bargaining power with which to secure higher wages. Further, platforms themselves compete in a global “market of markets,” with platform operators who want to set minimum standards competing against less conscientious platforms. From the perspective of IG Metall’s Crowdsourcing Project, the report reveals the need for dialogue with platform operators and clients to continue improving existing frameworks such as the Crowdsourcing Code of Conduct — and to encourage more platforms to sign them. The long term goal must be to establish clear rights for all platform workers, including location-appropriate pay standards.